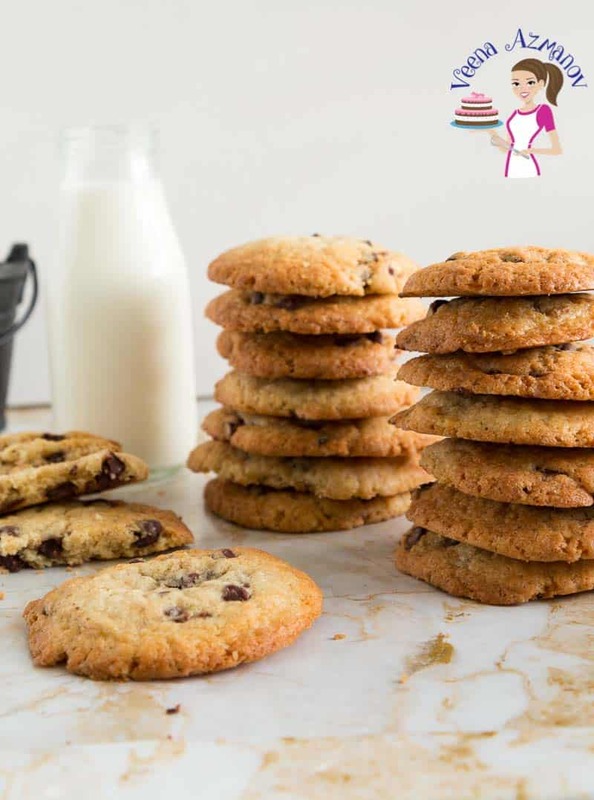 If you are looking for the best chocolate chip cookies recipe, then this is it. This no-fail recipe produces cookies that are soft, chewy on the inside and crisp at the edges. And they are also loaded with chocolate chips and the flavor of brown sugar and rich vanilla extract. 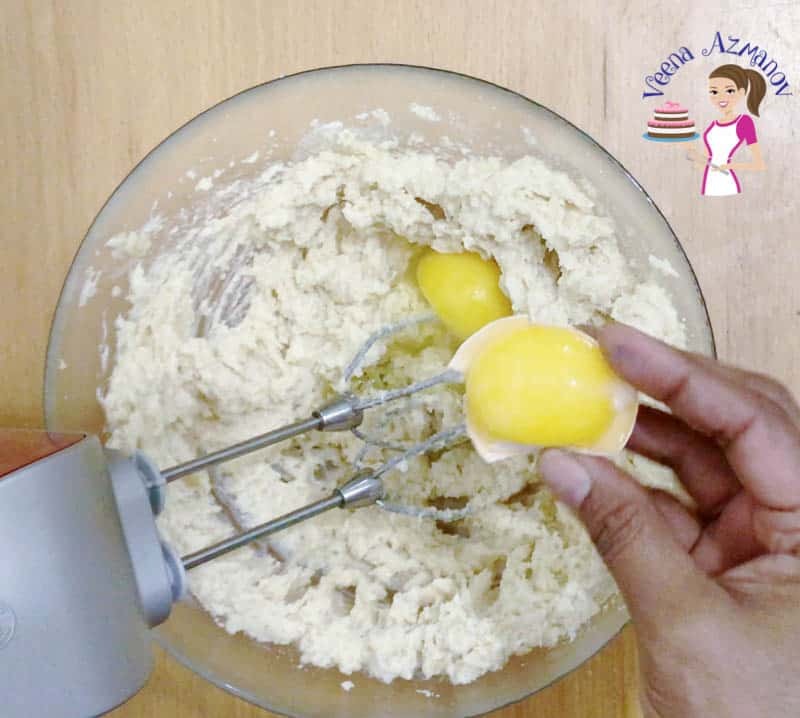 A simple and easy no fuss recipe that takes less than 10 minutes to prepare and 15 minutes to bake. What makes a chocolate chip cookies deliciously chewy on the inside with a crip outside? 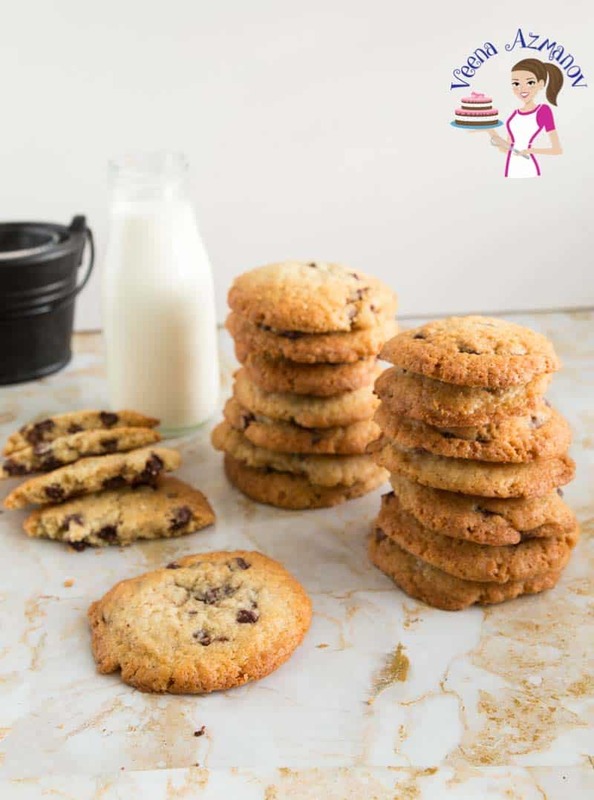 Today, I share with you my recipe for the best chocolate chip cookie you will ever make. These have been one of our family favorites for a long time. I also give them as gifts every time I want to say thank you to someone or send cookies to family and friends. I may not have enough food to go around at times, and yet I always have enough cookies in my cookie jar. And the chocolate chip cookie is the default cookie that gets made almost every week. Well, it all starts with my husband who is a cookie monster. He loves the American chocolate chip cookie. 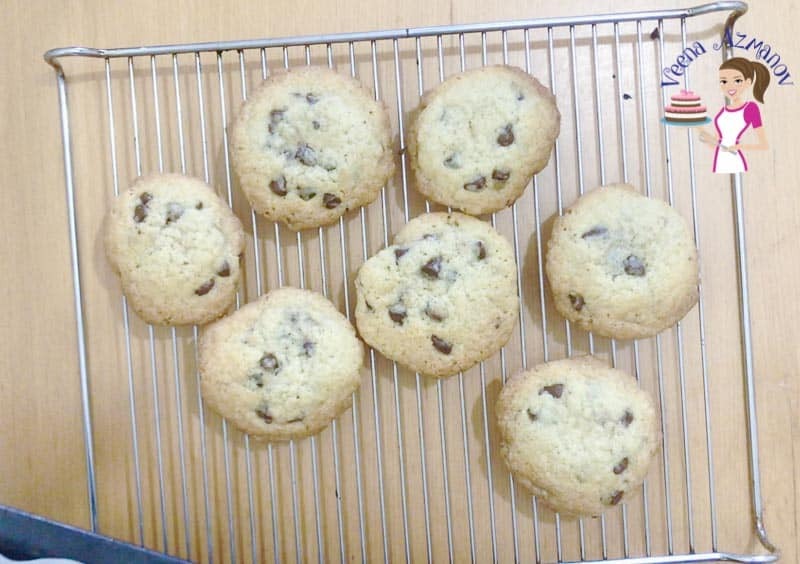 Having lived in the US for so many years, he got used to eating big large bakery-style chocolate chip cookies. Over the years, my Aadi has developed the same taste for this famous chocolate chip treat. 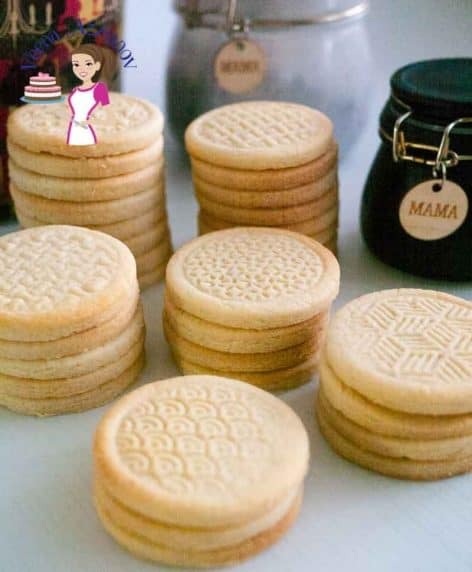 Want to be the best cookie mom? I’m sure that those of you that have kids experience this as well. My Aadi is out with friends having a good time. Suddenly I get a call…. hey mom can you make us some cookies? I’m coming over with my friends. Honestly, it would be easy to just say no. And yet, I always say yes!! And what helps me at times like these is having cookie dough in the freezer ready to be baked. Yup, I get these out of the freezer and place them on the counter while the oven is preheating. Then into the oven, and they are ready in less than 15 minutes. Some cookie doughs freeze well. 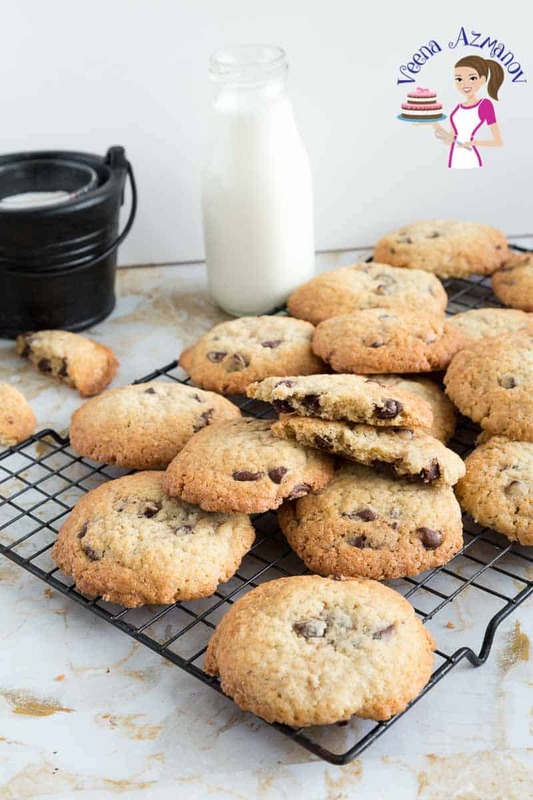 Like my Molasses Delights Cookie Recipe, Classic Gingerbread Cookies or Hamentashen Ozen Haman or Purim Cookies, and also these chocolate chip cookies. So, I make a big batch, portion them into eight per ziplock bag, and store them in the freezer. I love fresh baked cookies, so I freeze the dough, not the baked cookies. As I said above, I make a double batch and freeze the extras. 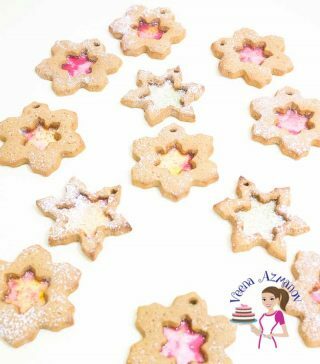 And the best way to freeze them is to use a cookie scoop/ice-cream scoop and place them on a baking tray. Then, place the tray in the freezer. And once they are individually frozen (about 2 to 3 hours), drop them in a ziplock bag. That way they won’t stick together or lose their shape. Chocolate chip cookies are also a great kids project! 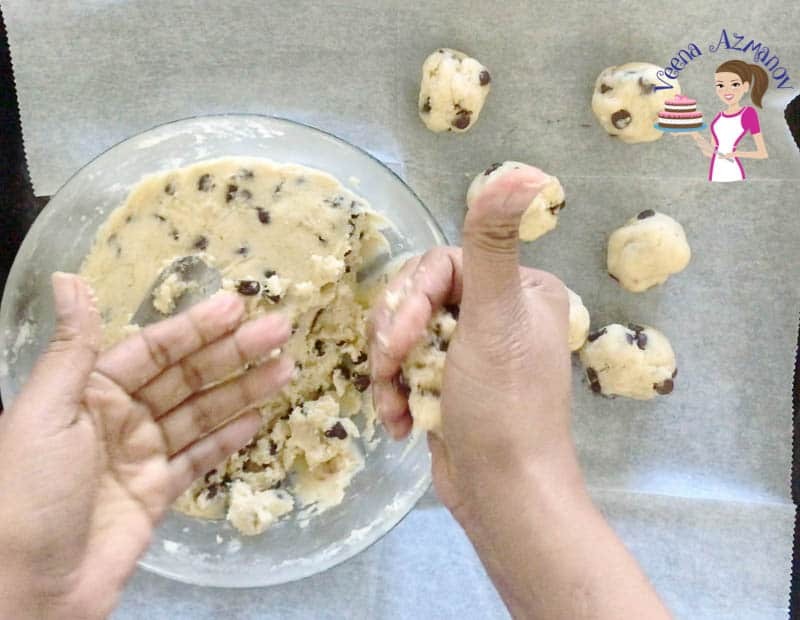 The chocolate chip cookie, being kids favorite, is also an excellent dough for kids to work. And this dough is so forgiving for either a little overmixing or undermixing. And the cookies still come out delicious. So, often when the kids have friends over and want to bake cookies, I usually opt for these. And yet, I do not chill the cookies before baking. Because the kids are generally impatient. Furthermore, I bake them at 190C / 380 F to minimize the spread. 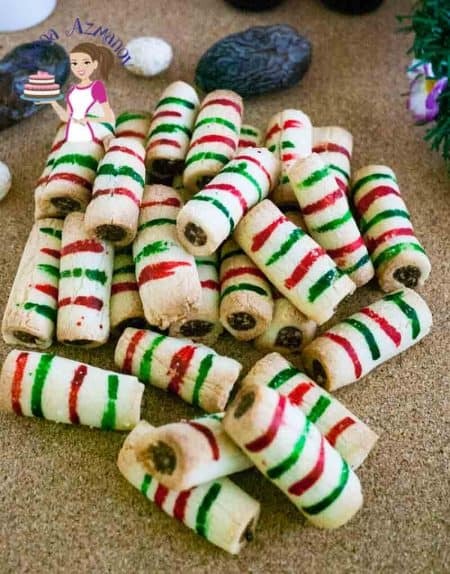 And kids love these cookies, so there is usually 100% participation. 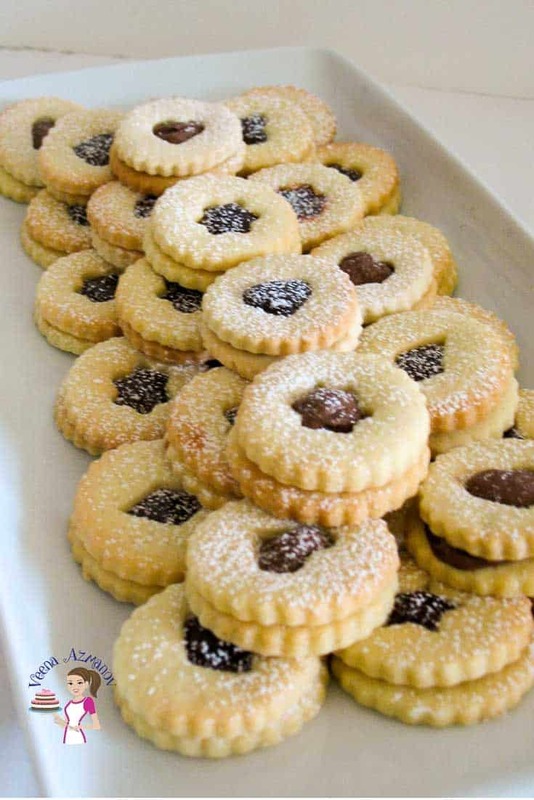 Flour – It’s best to use plain all-purpose flour for these cookies. They will spread, but that is what they are supposed to do. Cornstarch – Also called cornflour. This is the secret ingredient in the chewy chocolate chip cookie. 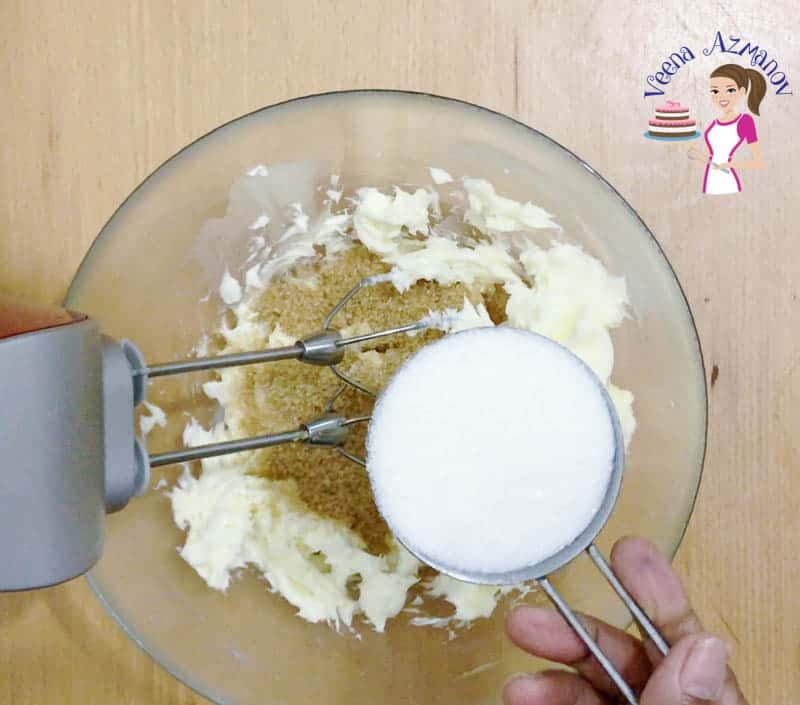 Sugars – We have both brown and white sugar, and they are necessary. The brown adds softness to the cookie, while the white adds that crispness. Vanilla – Use good quality vanilla as it does make a huge difference. I use my homemade vanilla extract. Chocolate – Unlike regular chocolate, the chocolate chips hold their shape better when baked. And they also keep their form when cooled. And yet, I often prefer to break a chocolate bar instead of using chocolate chips. 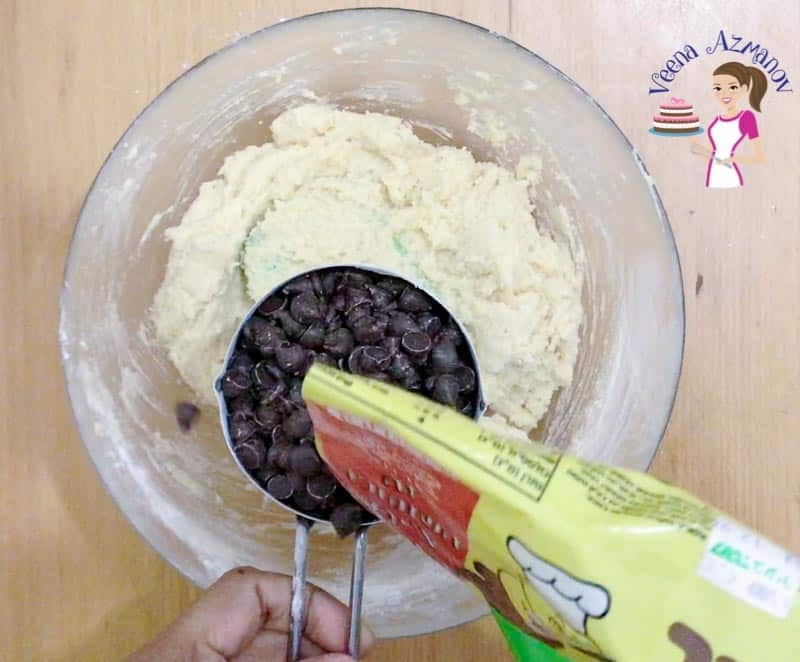 Normally, I insist that you use the K-Mix or Kitchen Aid for good mixing but these cookies are no fuss and work well with just a bowl and spatula just as well. It is essential to cool cookies completely on all sides as soon as they come out of the oven. So take them off the baking tray to prevent them cooking further and place them on a Cooking rack so they air circulates on all sides. This prevents steam from going back into the cookie thus keeping them crispy not soggy. Always bake cookies on the center rack of your Oven. And if you have more than one tray bake them one at a time. You can bake two trays at the same time, and yet this can lead to some of the cookies in the bottom tray spreading too much. Also, you can rotate the trays during the baking. This is helpful with some cookies. 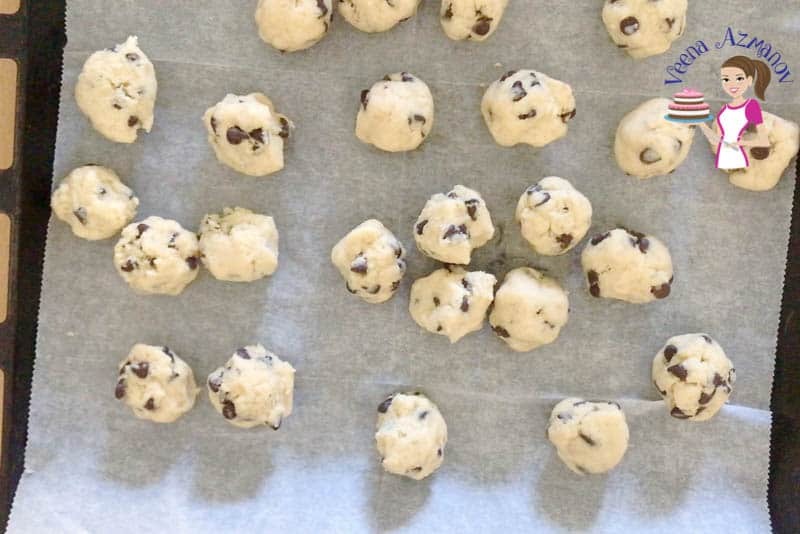 Most cookies usually bake between 12 to 15 minutes. Since cookies bake quickly, they can also get over-baked. This is due to our tendency to get distracted at the last minute. Hence, my solution is a kitchen timer that is always set to 10 minutes. I turn it on as soon as I place the cookies in the oven. This has saved me many cookies since my kids always keep me busy. 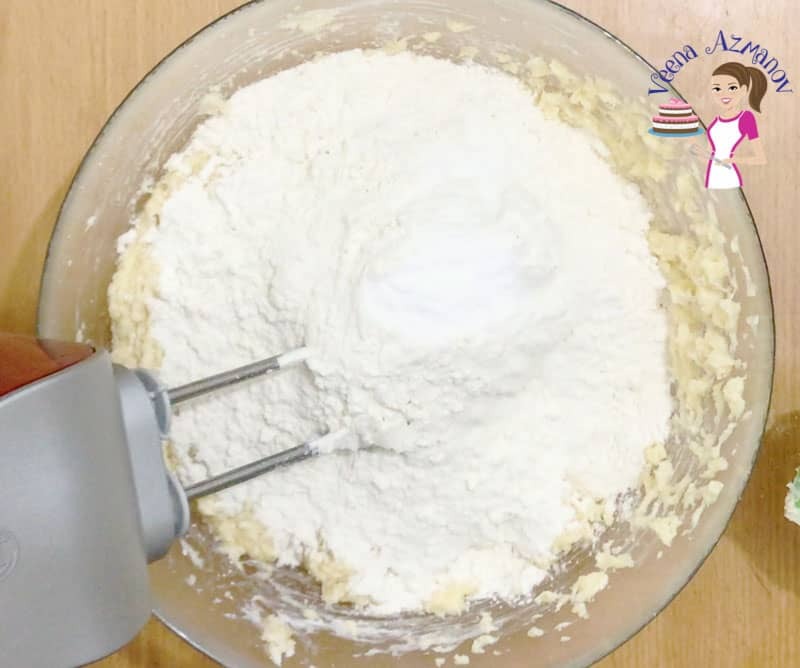 Combine the flour, cornflour, baking soda, and salt – and set aside. Cream butter, brown and white sugars until light and fluffy. Mix in the egg and egg yolks. Then add the cornflour and flour mixture – and combine well. Lastly, add chocolate chips – combine well. Use a cookie scooper or two tablespoons. 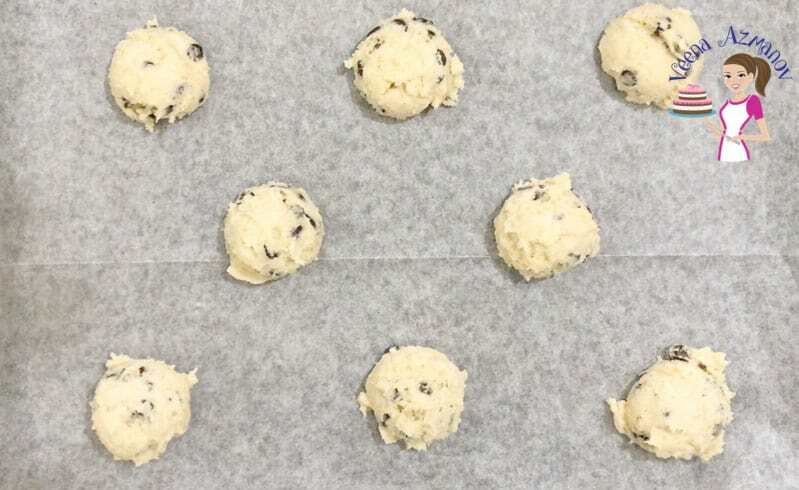 Drop the cookie dough on to a baking sheet keeping enough space so the cookies can spread. Chill the cookies for 30 minutes. Preheat the oven at 170C / 340 F.
Bake in a preheated oven for about 12 to 15 minutes. The cookies must still be soft in the middle and light brown on the outside. When baking chocolate chip cookies under baking is better. Cool completely on a cookie rack before storing them in a cookie jar. Cream the butter and sugar for no more than 2 minutes. Because over creaming can cause the cookies to spread too much. This dough has more butter, so chilling for half an hour before baking spreads them just enough. And if you don’t chill the cookies, they will spread more (very tasty too). 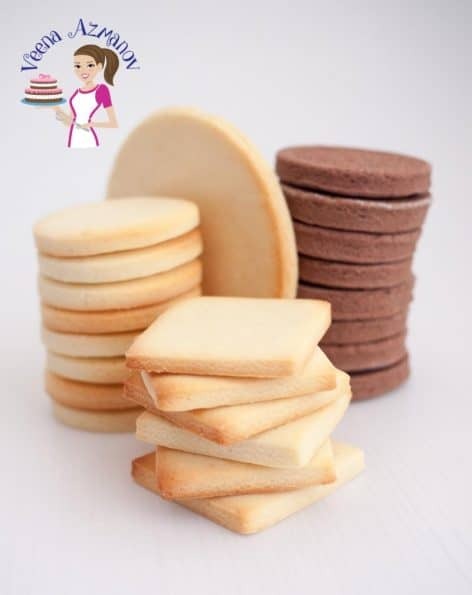 You must bake them at the oven temperature mentioned above – since too hot will give domed cookies, and too low will give flat, spread out cookies. Why do my chocolate chip cookies come out flat? 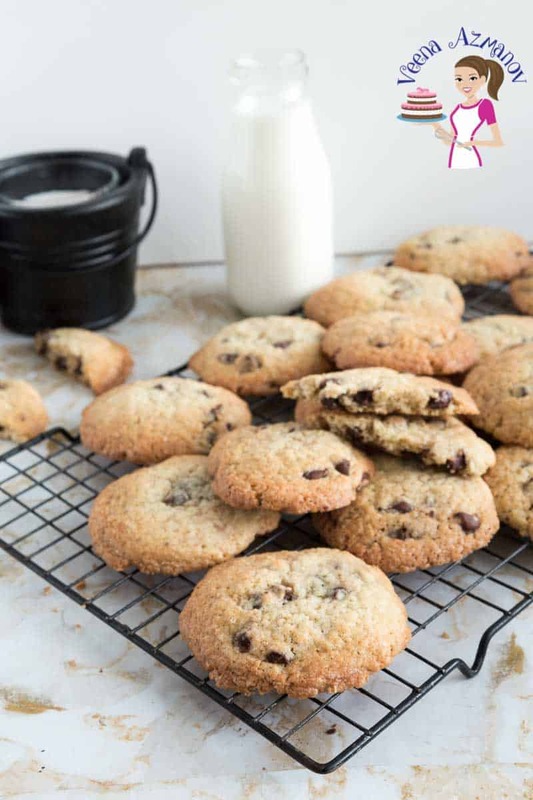 The right oven temperature is vital for chocolate chip cookies. You want the cookie to melt, while at the same time, cook quickly on the outside edges. 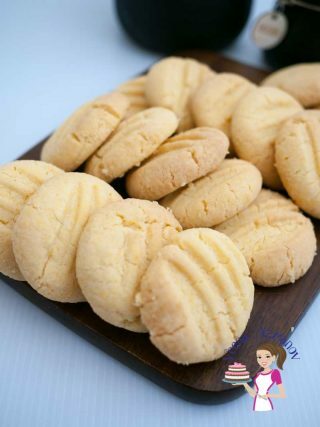 Every cookie recipe comes with its own defined time and temperature, so it is essential to follow the recipe and guidelines. Can I use dark brown sugar instead of light brown sugar in chocolate chip cookies? You can use dark brown sugar, and yet the cookies will have a strong caramel or toffee kind of taste from the molasses. 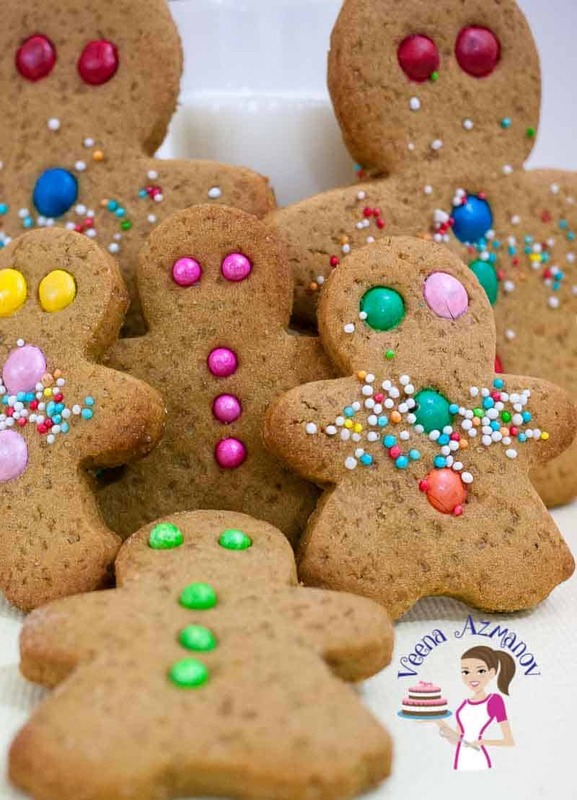 The cookies will also spread more and have a darker color. 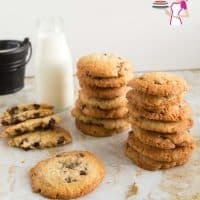 The white sugar contributes to the crispiness while the brown sugar adds to the tenderness of the chocolate chip cookie. 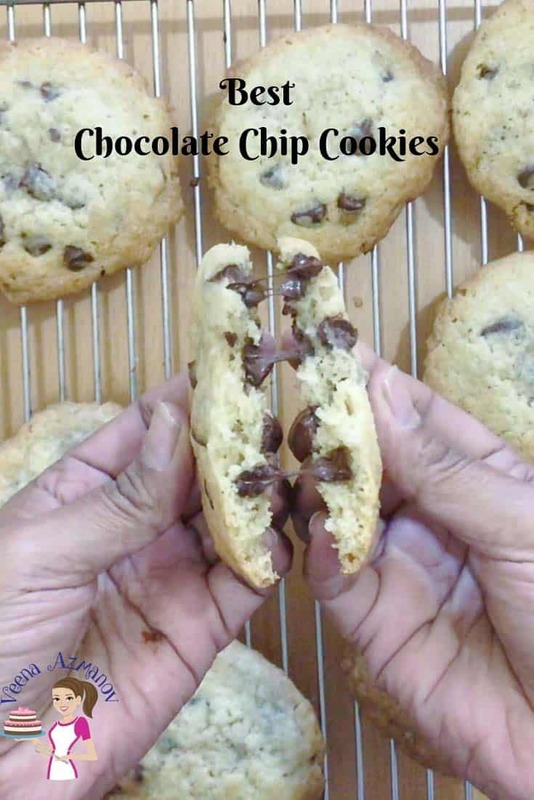 Therefore, both of them, when used together, make for that perfect chocolate chip cookie. Why do my chocolate chip cookies not flatten? The chilled cookie needs the right temperature for baking. So the cookie spreads just enough and the outside bakes to a crisp preventing any more spreading (hope that makes sense). Hence, finding the right oven temperature is essential. Therefore, please follow the directions that come with the recipe. Why are my chocolate chip cookies so fluffy? 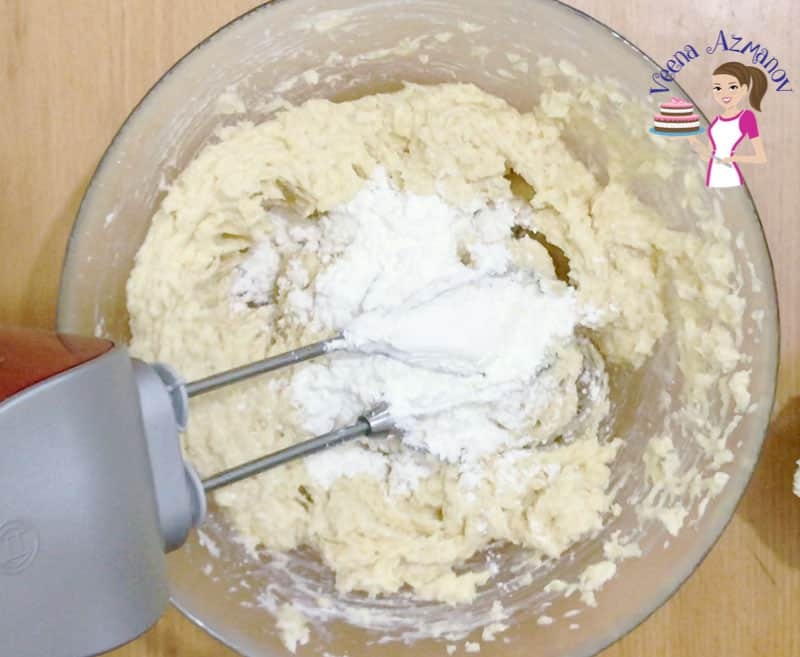 Baking soda in the cookie dough can cause the flour to fluff up. Also, too much baking soda can cause the cookies to spread too much and become flat and greasy. How do you know if the cookies are undercooked? 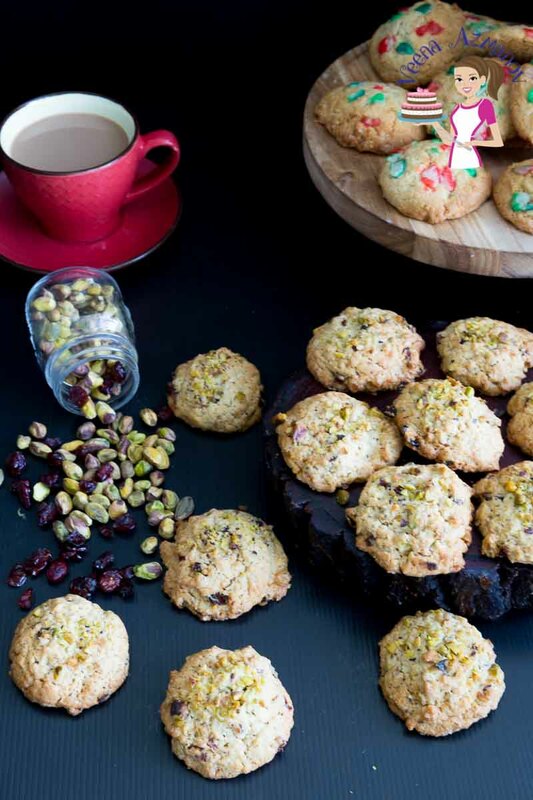 Cookies bake fast, and every recipe will state the cooking time. And yet, every oven is different. Also, keep in mind that cookies continue to cook on the hot baking tray even after you take it out of the oven. 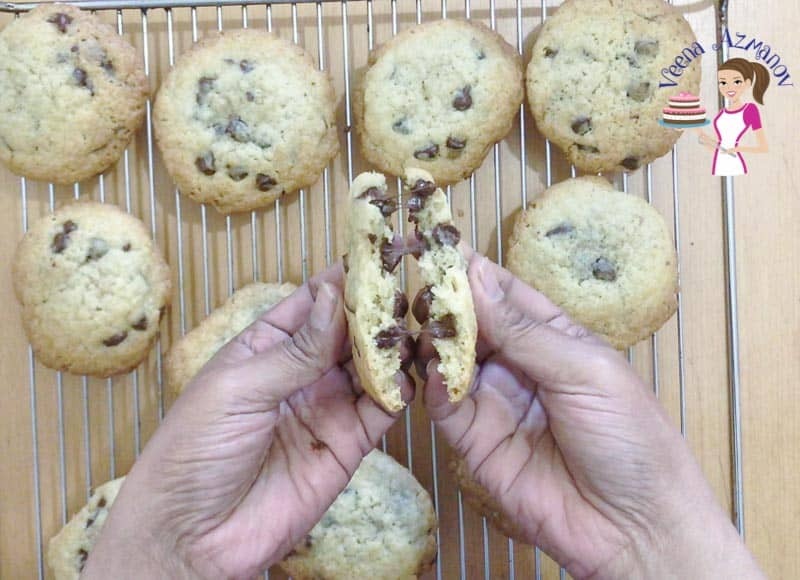 In the case of chocolate chip cookies, little underdone works in its favor to keep that soft chewy center. Can I make chocolate chip cookies without eggs? 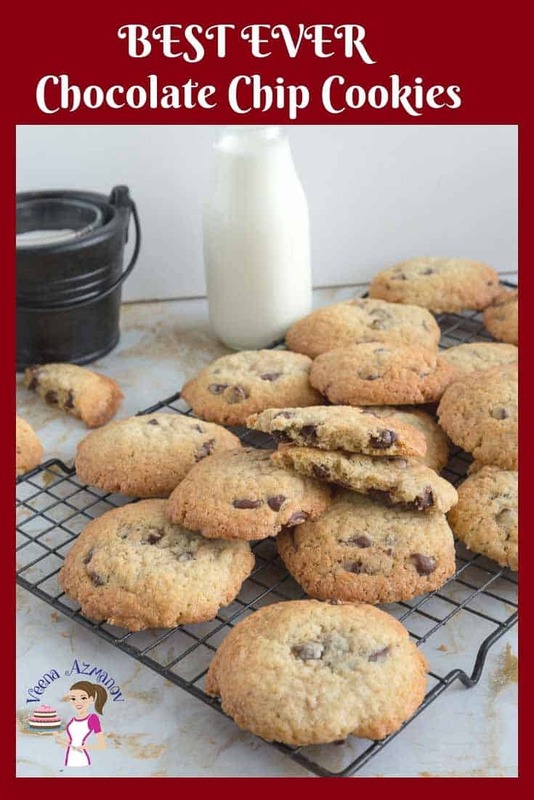 Absolutely, just use my recipe for best eggless chocolate chip cookies. It’s a simple and easy recipe. Share a picture of your work with me by uploading an image here below my image. Combine the flour, cornflour, baking soda, and salt - and set aside. Then add the cornflour and flour mixture - and combine well. Lastly, add the chocolate chips - and combine well. Using a cookie scooper or two tablespoons. The cookies must be still soft in the middle with light brown on the outside. They look so good and I love the different tips you shared to customize the recipe to what we like. Thanks for sharing. Thank you so much for sharing this recipe Veena. Your recipes are always perfect. Love these. Thank you, James. So happy you enjoyed this recipe so much. Thank for coming back to write this feedback. This is now my goto chocolate chip cookies. I make huge ones and we love it. We are big college boys and these cookies are not just snacks. Thank you, Peter. So happy you had success with this recipe and everyone enjoyed it. Thank you so much for coming back to write this feedback. Have a wonderful day. Best cookie recipe ever. Thank you. Thank you, Laesteh, Happy you enjoyed it so much. Best Chocolate chip cookies EVER! I agree. Made these a few times now.. LOVE it. Thank you, Joshua. I am so happy to hear that you had success with this recipe and enjoy it so much. Thanks for coming back to write this comment. Always appreciate the feedback, especially good ones like this make my day. Thank you, Herbert. So happy to hear you had success with my recipe and everyone enjoyed it so much. Wow, three cookies each.. they sure enjoyed it. Thanks for the lovely comment. Appreciate you coming back to write it. Have a wonderful day. Thank you, Engee. So happy to hear you had success with my recipe and everyone enjoyed it so much. Thanks for the lovely comment. Appreciate you coming back to write it. Have a wonderful day. Made these cookies and added pecans and walnuts without the chocolate chips. Love them. Thank you, Stanley. So happy to hear you had success with my recipe and everyone enjoyed it so much. I love pecans and walnuts too. Thanks for the lovely comment. Appreciate you coming back to write it. Have a wonderful day. Made these a few times they are now a favorite. They freeze so well. I made a double batch and froze it last week – baked them 6 at a time – perfect. Thanks for that trick. Thank you, Michael. So happy to hear you had success with my recipe and everyone enjoyed it so much. Yes, they do freeze really well. I have them in my fridge all the time too. Thanks for the lovely comment. Appreciate you coming back to write it. Have a wonderful day. Thank you, David. So happy to hear you had success with my recipe and everyone enjoyed it so much. I know what you mean about the perfect cookie hunt. Been there. So glad you like my recipe. Thanks for the lovely comment. Appreciate you coming back to write it. Have a wonderful day. Thank you, Jeremy. So happy to hear you had success with my recipe and everyone enjoyed it so much. Ah, you turned these into white chocolate chip cookies. Cool. Thanks for the lovely comment. Appreciate you coming back to write it. Have a wonderful day. Best chocolate chip cookies ever.. Thank you for the recipe my family loves it. Thank you, Sonja. So happy to hear you had success with this recipe and that you enjoyed it. Thank you for coming back to write this feedback. Have a wonderful weekend. 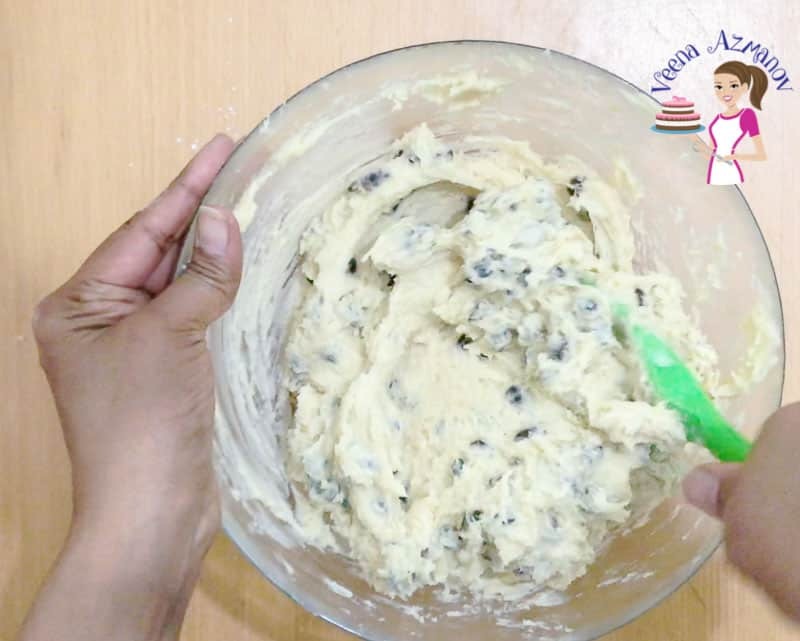 Shalini, I do have an eggless chocolate chip cookie recipe that you will LOVE. Enjoy! Love this recipe, Thank you for sharing. Thank you, Kevin. So happy you had success with this recipe and enjoyed it. Thank you so much for coming back to leave this feedback. Have a wonderful day. We use this recipe all the time now. Love how they always turn out perfect. Thank you for sharing. Thank you so much William, So happy to hear you enjoyed this recipe. Thanks for coming back to write this feedback. Have a great day. Thank you so much for this recipe. My family loves it. Thank you so much Donnie, So happy to hear you enjoyed this recipe. Thanks for coming back to write this feedback. Have a great day. Thank you so much Clintonweet, So happy to hear you enjoyed this recipe. We love it too. Thanks for coming back to write this feedback. Have a great day. These are definitely the best ever chocolate chip cookies. Make them for family and friends often and everyone loves it. Thank you, Robert. So happy to hear you enjoy this recipe too. It is a huge hit with us. Thank you for coming back to leave this feedback. Appreciate it very much. Made these last week and they were perfect. Love how simple this recipe is. Thank you, Roma. So happy you have success with this recipe and enjoyed it. Thank you for coming back to write this feedback too. Have a wonderful day. These cookies are my favorite chocolate chip cookies now. We make it all the time. Love how simple and easy your recipe is. Like all other recipes this one was another success for me. Thank you! Thank you Eluzuhile, So happy to hear you had success with this recipe. Sounds delicious! Thank you for coming back to write this feedback, appreciate it very much. Always a great feeling to read such success and positive comments. Thank you. These are the best Chocolate Chip Cookies I have ever made. Thank you so much for sharing the recipe. Thank you Lera. So happy that you enjoyed this recipe.Than you for coming back to write this feedback. Always love to hear from people who try my recipes. The recipe is just amazing, I have .Made it several times. However could you tell me if I had to make it eggless how would I go about doing it? Thank you so much Samantha. So happy to hear that. I have not tried to make this eggless so not sure. I know yogurt might be an option but as I said I have not tried so can’t say for sure. I love all your recipes.. gonna make these soon. Aww thanks Pauline. Appreciate that so much. You weren’t kidding when you said the best every chocolate chip cookies. Loved them, thanks for the recipe will definitely be making them again. These look delicious! If I want to use margarine instead of butter to make the recipe parve, how much should I use? Yes, Just replace the butter for either margarine or veg shortening. Personally I prefer veg shortening but since it’s quite expensive in Israel, margarine will work just as well. Thank you! I hope to make them this weekend.